As Floyd Mayweather Jr closes his career, which is not likely, due to him being competitive and looking to be remembered as the greatest of all time or he says, The Best Ever (TBE), many casual fans will remember Floyd as the runner but many boxing fans will remember Floyd for his career especially at the lighter weights, when he did stand in front of his opponents, make them miss and light them up with combinations. That was an exciting Floyd Mayweather Jr. As Floyd grew older, he implemented a more conservative style. We didn’t see him throw as many combinations as he did against N’dou, Gatti, Corrales, Hernandez, Manfredy and several others. He perfected the hit and not get style, leaving his opponents baffled on how to close off the ring and actually land a flush punch and even at times, walking down bigger opponents like Saul “Canelo” Alvarez. Many will hate him but that comes with a career he created with the characters Pretty Boy Floyd and Money. Just as Mike Tyson created a persona to sell fights and a character, to entice the fans and casual fans alike, just as Ali was extremely charismatic and sarcastic to have all eyes on him, Floyd created something for himself through watching these fighters. We can hate on him all we like but a person that is disliked can never have millions tuning into watch him once or twice a year and break records cause that is not possible. Floyd gave his all for 19 years as a fighter, just as all of us give our all everyday in our careers. Was he exciting all the time? No. Was he a smart fighter? That is obvious. But he did something right for those 19 years, to stay undefeated, to be a champion for 18 years. You can say he cherry picked his way to the top but cherry pickers don’t fight top 5 or top 3 fighters in their division. When Floyd moved up in every division, he ended up fighting the champion in those divisions. He didn’t take tune up fights, he fought the top guy, the big dog and outclassed them. He has done everything all the fighters in the present and in the past wish they did. The amount of money he made. The records he broke. Titles in 5 different weight classes. He is what every fighter wishes they could be. There isn’t anything else to accomplish and we all know, it doesn’t make sense to fight Gennady “GGG” Golovkin, when he himself, wont even move up 1 division to take on Andre Ward, nor accept a fight with Erislandy Lara who is willing to move up to 160lbs. Floyd puts on masterful performances every time he steps into the ring and only those who understand the sweet science, who appreciate the hit and not get hit style that Willie Pep, Muhammad Ali, Sugar Ray Leonard, Pernell Whittaker, James Toney, Roy Jones Jr and several others will be remembered for. Floyd will definitely not be remembered as TBE now, perhaps in the future or perhaps never but, Floyd is world class and is definitely the TBE of this era. Has a record of 26-0 (10 KOs) in world title fights. Has a record of 23-0 (9 KOs) in lineal title fights. Won against Genaro Hernandez, Gregorio Vargas, Diego Corrales, Carlos Hernandez, Jesus Chavez, Jose Luis Castillo (twice), DeMarcus Corley, Arturo Gatti, Sharmba Mitchell, Zab Judah, Carlos Manuel Baldomir, Oscar De La Hoya, Ricky Hatton, Juan Manuel Marquez, Shane Mosley, Victor Ortiz, Miguel Cotto, Robert Guerrero, Saul Alvarez, Marcos Rene Maidana (twice), Manny Pacquiao, and Andre Berto. Won against Genaro Hernandez, Diego Corrales, Jose Luis Castillo (twice), Zab Judah, Carlos Manuel Baldomir, Oscar De La Hoya, Ricky Hatton, Juan Manuel Marquez, Shane Mosley, Miguel Cotto, and Manny Pacquiao. Won against Arturo Gatti and Oscar De La Hoya. With less than 24 hours to go before the PPV kicks off, controversy has already surrounded Mayweather Vs Maidana with Maidana’s, custom Everlast gloves having padding that has not been distributed properly on the knuckle area and anyone who knows about the sport of boxing and how brutal it is, safety definitely comes first. We have Panama Lewis and his fighter Luis Resto who removed padding from their gloves and brutally beat up Collins who was left depressed and some say, due to not being able to fight anymore he had committed suicide. Then we have Magarito Vs Mosley situation, where Mosley’s trainer Nasim Richardson found Margarito’s hands were not wrapped correctly and the substance found inside of them would lead to them hardening during the fight and that situation led to us boxing fans believing that Margarito may have been cheating his whole career. So when something like this occurs, we as boxing fans may or may not care simply because we want a fighter to lose or some of us care because we we don’t want another Resto Vs Collins situation that leads to a death. Numerous fighters have had brain damage and their speech slurs. After Julio Cesar Chavez Sr Vs Meldrick Taylor I, we seen Taylor who was a promising olympian career decline and his health too. That is just some history surrounding gloves and how brutal the sport is itself. Now, unto tomorrows PPV Main Event and Co-Main Event which will feature Amir Khan Vs Luis Collazo. Just going to write my predictions. Amir Khan Vs Luis Collazo. Anyone who has followed Amir Khan’s career has seen a promising, young, south asian, Pakistani, British silver medalist rise to the tops of the boxing charts. We have seen Amir dazzle us with his speed against lesser fighters, knocking them out, stopping them until he had decided to come over to the better market of fighters and was tested. The first time the North American fan base was introduced to Amir Khan was against Paulie “The Magic Man” Malingaggi who had fought tough champions such as Miguel Cotto and Ricky Hatton. Amir Khan with his blazing hand speed went on to stop Paulie and his career took off. We all thought we had something special or some may have thought until he ran into Lamont Peterson and Danny Garcia’s left hook. Then after, he went onto to drop hall of fame trainer, Freddie Roach and decided to train with Virgil Hunter due to his success with Super Middle Weight, undefeated champion and gold medalist, Andre Ward. Since then, Amir has not looked stellar at all. The once 4-5 combination boxer did not look the same. Being hurt by light punching Carlos Molina, which he himself admitted to on HBO Boxing After Dark and then being wobbled all over the place by Julio Diaz, that looked as a life and death fight for Amir. Since changing trainers, Amir has become more of a calculated boxer who has slowed down a lot but it has taken him out of his element and put his speed aside, by once overwhelming fighters to now, boxing them and continuously getting hurt. With a veteran like Luis Collazo who has been in tough fights through out his whole career, Amir cannot under estimate him, especially since moving up in weight. Collazo has given Ricky Hatton and Andre Berto possibly their toughest fights while they were undefeated. Being on the unlucky end of those decisions, which myself and many other boxing fans thought Collazo had won. Collazo comes from a tough fighting background and he knows, he has everything to gain after coming off a KO win against Victor Ortiz. The way I see this fight going and due to Khan not fighting explosively as he used to, using his speed and Collazo’s vast experience, I see Collazo winning by KO. Amir can say he feels stronger at “1-4-7” and say, he has sparred punchers like Alfredo Angulo but it all changes in the ring when head gear is off. Ricky Hatton said in an interview that when he was at JRWW, he was able to push and shove guys around but when moving up in weight for the first time, it was the opposite and Collazo was doing that to him. Anyone can polish their boxing skills as Amir has said he has done during this lay off but you cannot polish your chin and that is possibly Amir Khan’s downfall in his boxing career. If Amir does not get off to a fast start and Collazo begins to land, which he will no doubt do, the Mayweather golden ticket falls apart and Collazo goes onto to bigger and better things, possibly even headlining a Main Event in his hometown of Brooklyn at the Barclays Center. Finally, we have Mayweather Vs Madiana as the Main Event. Anyone who has followed Mayweather’s career can say whatever they like about him. “He is a cherry picker.” “He is a coward.” Whatever it may be but he has remained undefeated and still looks spectacular at the age of 37. while making younger, fresher fighters look subpar and average. So many want to see a blemish on his resume due to disliking an individuals personality outside the ring, as if, the persona outside of the ring is what we watch, when we actually don’t. We as boxing fans watch an individual for their craft and that is what I watch in a fighter and that is their craft. Then we have the likes of Bob Arum who has spewed hate towards a fighter who he has promoted and said “he is the greatest boxer I’ve ever seen.” Mayweather went onto becoming a the hottest PPV attraction, becoming his own “promotor” and also becoming the highest paid athlete in the world. Marcos Maidana on the other hand has become a fan favourite after knocking out, flashy and Diet Mayweather, Adrien Broner. Maidana was first introduced on HBO Boxing After Dark against young, “Vicious” Victor Ortiz. Ortiz was touted as being the next golden ticket for Golden Boy Promotions until, fighting an unknown Argentinean, Marcos Maidana who had went onto to stop Ortiz in a back and forth, elevator like fight where both fighters traded knock downs. Ortiz’s career came to stand still after suffering a broken jaw against Josesisto Lopez, then suffering a KO in come back defeat against Luis Collazo, never looking the same. While Marcos Maidana went onto become the WBA Welterweight Champion defeating Adrien Broner and is now up against P4P number 1 boxer in the world, Floyd Mayweather Jr.
Marcos Maidana has only suffered one loss in his move to the Welterweight division and that was against Devon Alexander. Devon Alexander Vs Marcos Maidana was a one sided fight where Devon controlled every aspect of the fight. Clinching whenever Maidana got close to reset his offence and even knocking down Maidana to cruise a victory. Since then, we have seen Maidana go 4-0 against Jesus Soto Karass, Angel Martinez, Joesisto Lopez and Adrien Broner, which secured this PPV fight. 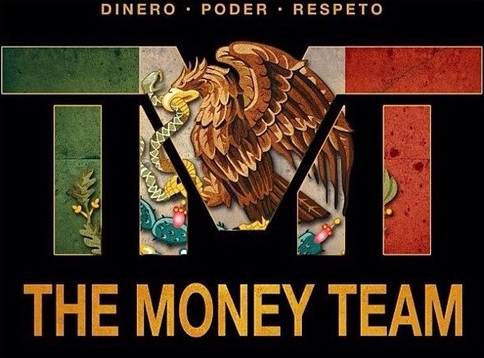 Mayweather is the best fighter in boxing today, hands down. 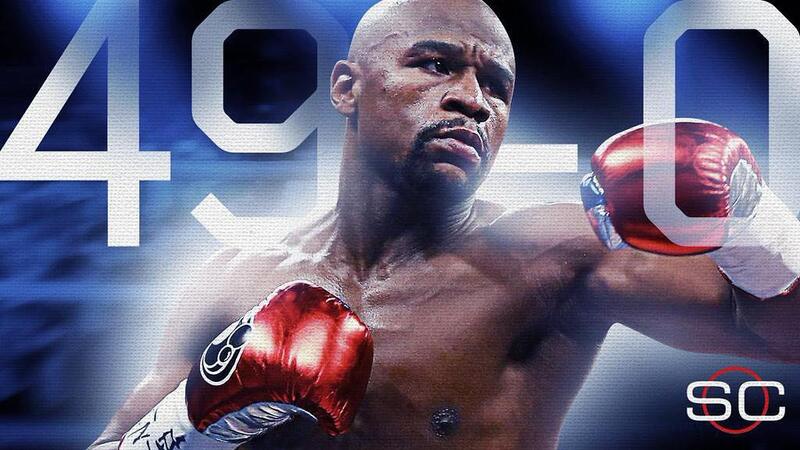 Nobody has come close to beating Mayweather, okay, there has been and that was Jose Luis Castillo in their first fight and since, we have not seen Mayweather in any controversial decisions because the flaws in his games have not been exposed, that is if he has any. Maidana will probably give Mayweather his toughest fight to date, maybe but I see this fight going one way and one way only. That is Mayweather by victory. Either TKO or Unanimous Decision. If we go back to where Maidana has been hurt the most in fights, it is to the body. He has been extremely uncomfortable when his opponents go to the body. Jesus Soto Karass did it, Lopez did it and it is something Broner did not exploit but be sure that Floyd is going to exploit that in Maidana, especially with that jab to the body. Madiana can come in brawling all he wants, throwing everything but the kitchen sink or even his tampered gloves at Floyd but Floyd is the best at taking away his opponents best weapon and making them fight at his pace. Mayweather will control the fight, fighting inside the pocket at times but ultimately winning this fight. 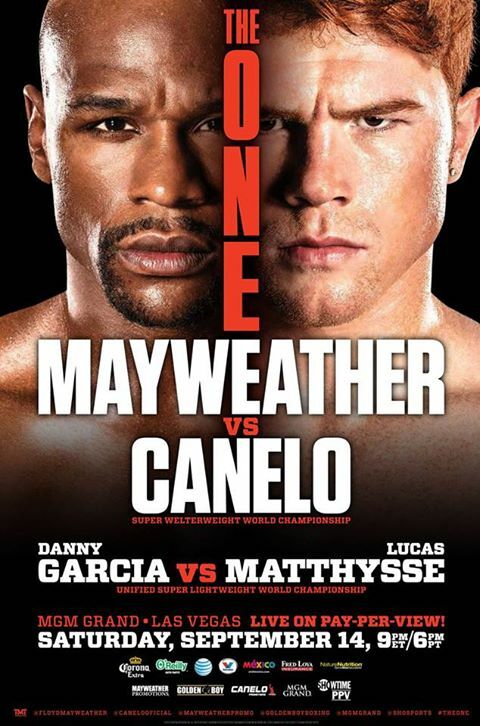 Mayweather Vs Maidana – Mayweather either by TKO or UD. Hope you boxing fans enjoyed this piece. 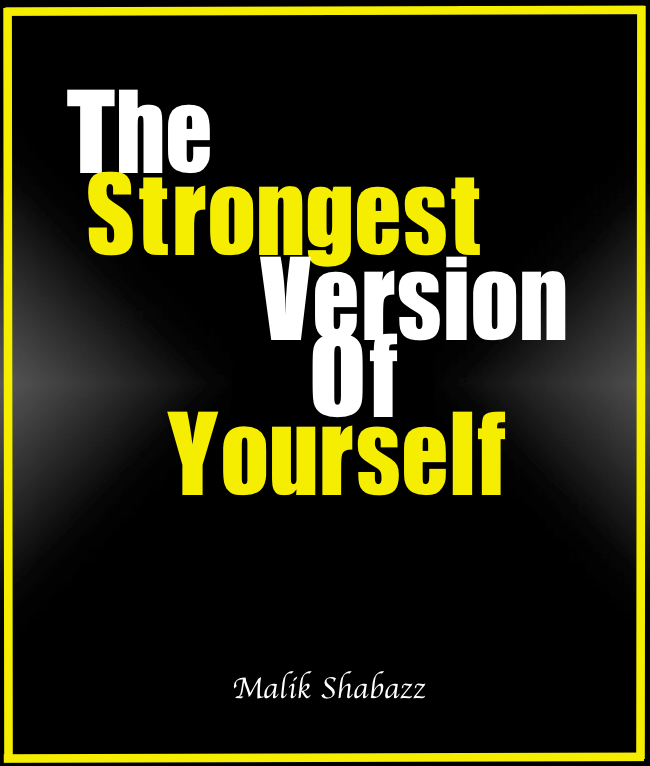 May do more in the future, insha’Allah (if Allah wills). Thanks for reading and cannot wait for this PPV card.